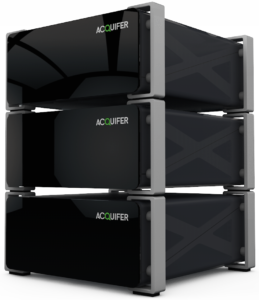 A new HIVE system has been installed by the Acquifer UK team at the University of Manchester. The facilities’ need was two-fold: 1. high speed, big data handling of light-sheet microscope data and 2. an active processing storage for all images and data from confocal microscopes and light microscopes. The HIVE system matched these needs perfectly! The HIVE is directly connected to a light sheet (Z1) with the other facility tools connected via their Local area network. In future it is most likely to connect the other existing other light sheet systems and Airyscans directly to the HIVE. Other confocals and a slide scanner will be remain linked via the LAN to the HIVE system. The unit will run IMARIS alongside ZEN Black and Zen Blue. The users access the images on the HIVE by “remote desktop” for processing and data analysis. In a later stage it is planned to run Matlab and other software on the HIVE as well. The HIVE installation in the facility increases data security, as it eliminates the moving of data using portable drives. 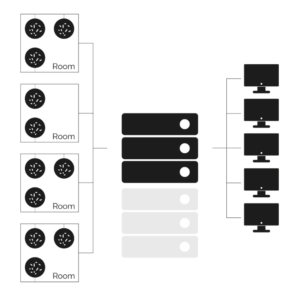 Additionally the HIVE consolidates the storage of active data away from multiple network devices, into one single space, reducing data duplication and providing easier management.